End of an Era/Beginning of the Next? Nobody Gets Put Out. Period. One hundred days ago Morgan Stanley was threatening to send in the sheriffs and a moving truck the next day to evict Jodie Randolph from her house in Alameda, California. One hundred days ago it looked like Jodie Randolph, cancer patient and grandmother, might be out in the street. But it was also one hundred days ago that the Occupy Oakland Foreclosure Defense Group swung into action, invading Morgan Stanley’s Oakland offices and calling for anyone and everyone to show up at 9:00 AM the next day to prevent the eviction. The sheriff never showed up. Since that day we have been maintaining watch on Jodie’s house, twenty-four hours a day, seven days a week. If anyone were to attempt a move on the house, calls would go out to hundreds of supporters. In December we marched on Morgan Stanley’s San Francisco’s offices, and on January 14th, Jodie sat down for the first time with representatives of Morgan Stanley to work out a loan modification. Just a few days ago, all the documents and papers were submitted, and we await some sort of response from Morgan Stanley’s decision makers. JODIE IS STILL IN HER HOME! We would like to thank everyone who has contributed to Jodie’s cause: those who rallied at her house when the call went out on Day 1, those who have brought food to the house, those who have sat through numerous shifts the house, those who have tweeted and facebooked, those who have commented in support, and everyone else who has helped in any way. Countless person-hours have gone into this effort, including more than an entire year’s worth of labor keeping the house guarded. Tuesday, January 15, 2:00 p.m. In a terrific initial victory for people’s action and home defense, Jodie was able to meet yesterday with Morgan Stanley (the bank which, with various shadow subsidiaries, “owns” her home). In November, when Jodie came to Occupy Oakland Foreclosure Defense, she had no prospect of a bank meeting, and all negotiations and legal actions were–theoretically–over and done. Now, 71 days into a 24-7 home defense, she was invited to a meeting in the same skyscraper that shut down its entire operation rather than let her in in November. She and her allies sat down fairly amicably with bank representatives including a lawyer flown in from Southern California and presented her proposal for how the foreclosure could be lifted and a fair loan modification could be put in place. Morgan Stanley is “considering” her proposal. We hope they’ll accept it and sign papers. If they don’t, home defense continues and we’ll let you know what the next steps are. Saturday, January 5, 10:30 p.m.
Before we get to the Jodie news, we put out an action alert to save Gaylynne Hudson’s home. Gaylynne successfully got her sale date postponed until February, so we may have more action alerts for that coming up. About Jodie’s fight: Just to prove that there’s no point in getting excited about promises (or even plans) made by a bank, Morgan Stanley postponed last week’s meeting. Does this mean they’re sending a truck? Planning a different strategy? Completely uninterested in a small house in Oakland (because depending on the day, they have between $750 billion and $1 trillion in assets)? Who knows? We don’t. We just know that we’re not letting them add Jodie’s house to those assets. When the meeting happens, we’ll let you all know how it went. Wednesday, January 2, 4:00 p.m.
Jodie is meeting with Morgan Stanley this week, probably tomorrow! What’s good about this news? 1) Morgan Stanley asked for the meeting. 2) They are flying an “independent” lawyer (one who isn’t employed by Morgan Stanley) up from Southern California. Apparently, they don’t have enough lawyers of their own. 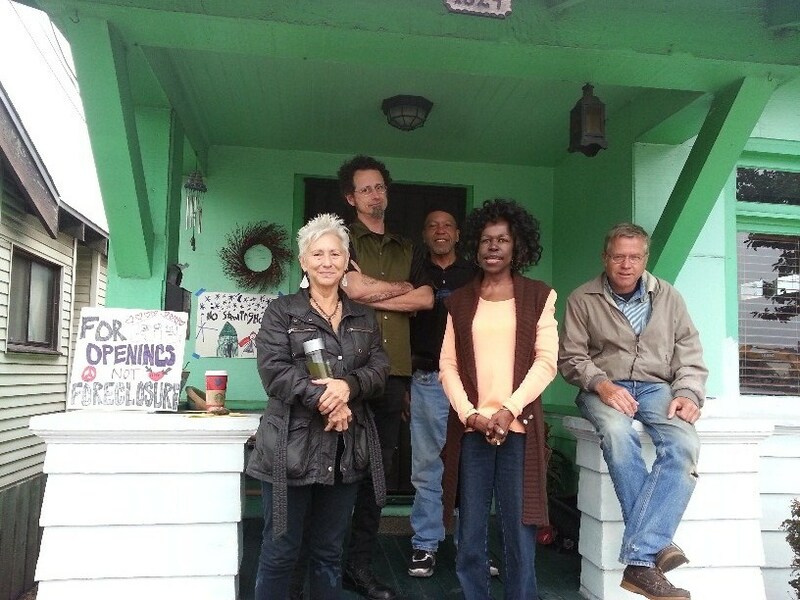 3) Since November 6, when they threatened eviction, they haven’t made any serious moves to get Jodie out of her home. And now they’re talking to her. This is because of what we’ve all done. They certainly weren’t going to talk to her before our group got involved. What’s not good about this news? 1) The meeting is on their turf, and they want it to be on their terms. Jodie has other ideas. 2) It’s perfectly possible that nothing productive will come of this meeting. It may be corporate BS and more postponements. We don’t even know if a decision-maker for the bank will be in the room. Whether it’s good news or not, it’s a step in the right direction. If they make or accept a fair offer, and carry through with it, that’s the best news possible. If they make an unreasonable offer, or refuse to accept a fair one, Jodie stays in her home. If they stall, Jodie stays in her home. If they send a truck, well, they’re playing to our strengths. Here’s another account of the meeting and the actions that led up to it. In other news, no movie night this week. The laptop that shows movies and the person who makes them happen are both sick. The home defense continued strong throughout the holidays and is moving forward into 2013. Come join us! Take a shift, or drop by for a visit, or come to a movie or an outreach session. Or come to one of our meetings on Sunday afternoons at 19th and Telegraph, 12:30 p.m. (In case of rain, alternative site will be on the Occupy Oakland page.) We’re easy to find. Monday, December 24, 3:00 p.m.
Home defense is quiet in the Christmas holiday season–but it doesn’t stop! Although most banks declared a “Christmas amnesty” for foreclosure evictions, you can’t trust them. (At the links: B of A holds an eviction “not exactly” at gunpoint on December 14, despite a promised amnesty. Los Angeles County sheriff planning to evict the long-term Fort Hernandez occupation on Christmas Eve.) And besides, Morgan Stanley hasn’t made any such promise. So we’re holding down the house. If you feel like dropping by with some holiday cheer for the home defenders (or taking a holiday shift), we’ll be delighted to see you! In this video of Occupy Oakland’s message of support for Occupy Sandy (evicted by New York’s Mayor Bloomberg despite universally good press about their skilled, patient, and efficient hurricane relief), you can see some of our members and our banner. Last week’s movie night was postponed on account of cold and rain, but we hope to resume on the Thursday between Christmas and New Year’s, December 27. The movie will be the delightful (and kid-friendly) Exit through the Gift Shop, showing us how legendary British street artist/escape artist Banksy does his stuff. 6pm at 1624 Foley in Alameda. Free popcorn and hot chocolate! We’ve got some media attention coming up soon, and bank news will be happening in the beginning of 2013, so watch this space. Wednesday, December 12, 10:30 a.m. Sometimes there isn’t much to report, and sometimes there isn’t much we can report. However, home defense for Jodie is still going strong, 24 hours a day. This is Day 34! Unlike a couple of banks, Morgan Stanley has not declared a Christmas amnesty on evictions, and we wouldn’t necessarily believe them if they did, so we’re always here. Here’s today’s morning crew of home defenders, standing on Jodie’s stoop. Thursday, December 13, is the next movie night. We’re showing Cinema Paradiso on our portable screen in Jodie’s front yard. Come join us! Showing is at 6pm at 1624 Foley Street, Alameda. There has been some movement on the dealing-with-banks front. We’re waiting to see how it plays out before we announce anything. Keep your fingers crossed and — way more important — keep your home defense chops at the ready! Sunday, December 2, 8:00 a.m. Yesterday, when the weekend’s mostly relentless rain gave us a break, a bunch of home defenders went out to canvass Jodie’s neighborhood. We canvass so we can build awareness among neighbors, so we can recruit neighbors as allies, and to advertise movie night, this coming Thursday, December 6. We put a screen in Jodie’s front driveway and make a homemade drive-in; fun for the whole family. The movie will be Up. 1624 Foley Street is in Alameda. He walked away scratching his head. Also, our excellent press from the Oakland Tribune was picked up last week by the San Jose Mercury News! We especially appreciate the way the article is respectful of both Jodie and Occupy. Coming up this week–new phone blast to Morgan Stanley. Details here soon. Friday, November 30, 1:30 p.m. Sorry for the week’s silence! First and foremost, Jodie is still in her home! Resting quietly as this post is being written. She has gotten yet another nonresponsive “response” from Morgan Stanley and we are planning a new phone campaign for Tuesday, 12/4. Watch this space for details on who to call and what kinds of things to say. We didn’t have a movie night this week because of the rain forecast, but movie night is planned for next Thursday, 12/6. The movie will be Up. 1624 Foley Street is in Alameda. Tomorrow (Saturday), we will be canvassing the neighborhood and some Alameda gathering spots, rain or shine. We’ll be letting people know about Jodie’s fight, movie night, and upcoming plans. Want to join us? 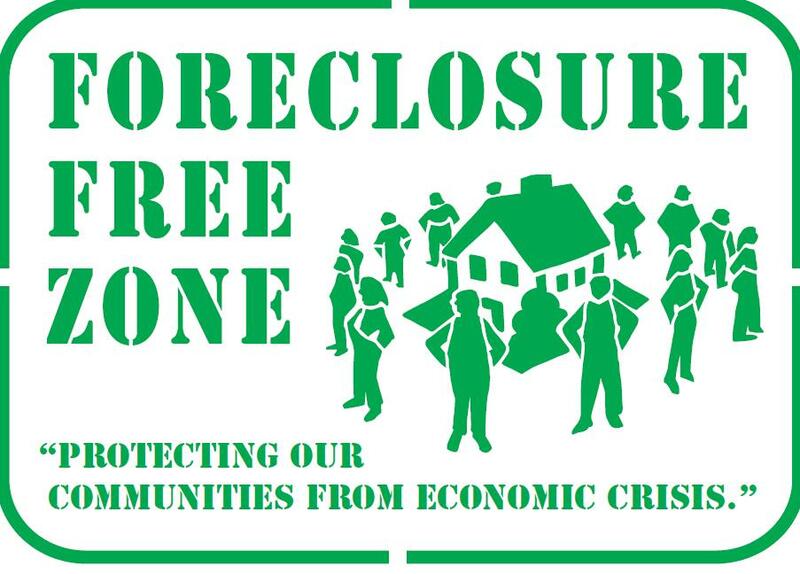 Email foreclosuredefense@occupyoakland.org, or just show up here at 2pm. We’ll be glad to see you. We are doing really well. The shift list is frikking huge, we have interest and commitments still coming our way, and the scene at the house is really positive. You never know who you will be hanging out with for the most part and it is serving as a great way to knit people together and spur ideas and solidarity. P: Has there been any trouble? me: Nope. It’s been pretty quiet actually. P: Well…. Ya disappointed? We could use a little confrontation! Friday, November 23, 2:00 p.m.
We got a really fine article in the Oakland Tribune on the day before Thanksgiving. Randolph’s furniture, photographs, DVDs and other belongings are still inside the house. But the chemotherapy sessions to treat her colon cancer leave her exhausted, so she mostly stays with her daughter in San Leandro, where she can rest more easily. She has never met some of the activists who have been staying on the property. The house sits across the street from the parking lot that serves the Marketplace plaza on Park Street. As customers exit the lot, they can see hand-painted signs condemning the foreclosure displayed around the front porch. The activists also leaflet passers-by, hoping to drum up support. This post is being written from Jodie’s living room, where home defense is quiet, steady, and ongoing. Lots of good folks brought by treats from the holiday (you don’t have to love the holiday to love the treats!). And one of the home defenders on shift right now was at one of the Walmart actions earlier this morning. After Tuesday’s action, it wouldn’t surprise us at all to see some movement next week. Whether that comes in the form of outreach from a real decision-maker at Morgan Stanley or a moving truck, we’re ready! Tuesday, November 20, 10:30 p.m.
How did we shut down a 52-story skyscraper, home to some of the biggest banking offices and law firms in San Francisco? Well, it turns out that all it takes is about 15 people, a few protest signs, and a little bit of advance press notice. Jodie and a companion went early, but Morgan Stanley and the building guards would not let them past the security cordon. So, an ailing grandmother with genuine business, and one well-dressed companion, is too much of a threat to the capitalist giant ($561 million in profit last quarter). So maybe it’s not surprising that adding another twelve or so of us to the mix was worth shutting down the entire office tower, plus the Bank of America branch on the ground floor. Special added bonus: the San Francisco cop who came up to us when we were mobilizing at the BART station and asked us if we planned to be violent. Honestly, if you planned to be violent (or if you didn’t), what would you tell a cop? So Jodie read her letter outside the barricades. She’s demanding the right to speak to someone who can make decisions: obviously an unreasonable and frightening request. We flyered the neighborhood, and went home. We had a good day. Morgan Stanley had a bad one. And they could have just let Jodie in and taken her letter. Monday, November 19, 8:00 p.m.
Today was about planning for our BANK ACTION! the next day. 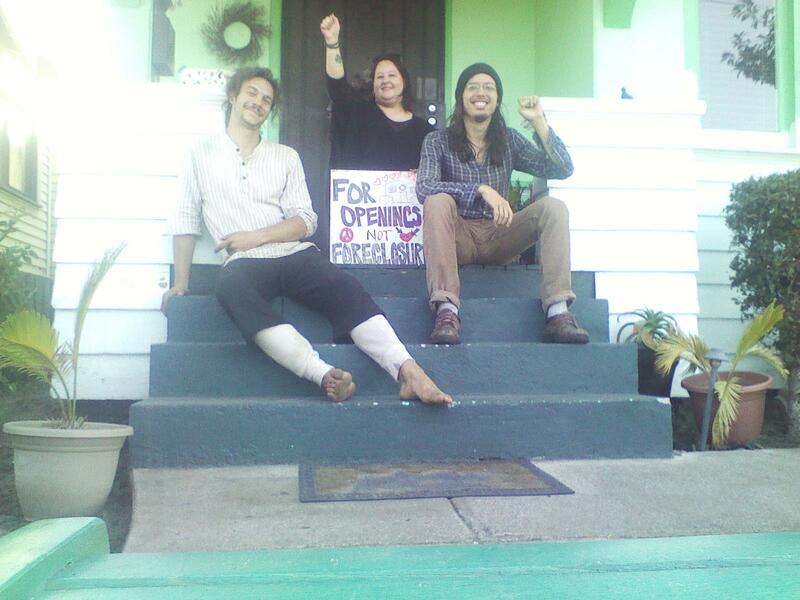 We take the eviction defense of Jodie Randolph to the banks’ doorstep! Again! We’ve got round-the-clock defense of the home. We put Morgan Stanley on notice and shut down their Oakland office with a group delegation two weeks ago. We’ve shut down the phone lines to one of their executive’s offices with a 2-day phone blast campaign. Now that we’ve got their attention, we demand that we speak with someone with decision-making ability. NO MORE EXCUSES, MORGAN STANLEY! We gather at the BART station for a pre-action briefing, then march to the SF offices of Morgan Stanley where we will deliver our demands and seek a sitdown meeting with John Sheldon, the SF managing director. Press conference afterwards. We are in solidarity with the folks arrested yesterday in the Fort Hernandez/Fort Lucero fights in Southern California. 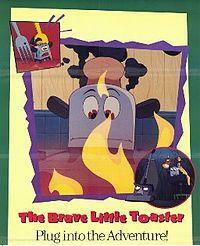 Thursday, November 15, 11:30 a.m.
Come hang out with Occupy Oakland Foreclosure Defense Group on Jodie’s front steps and front lawn and watch The Brave Little Toaster, an animated film the whole family will enjoy. Heroic kitchen appliances fight eviction! We provide the popcorn. You provide the support for Jodie. Everyone wins. Coming up, Tuesday, November 20: Bank action: we escalate the pressure on Morgan Stanley! Details soon! We get stronger every day! Tuesday, November 13, 2012: 7:00 p.m.
MOVIE NIGHT! THURSDAY, NOVEMBER 15! 1624 Foley, Alameda, CA, 6pm. How to find us. Who says radical activism can’t be fun? Come hang out with Occupy Oakland Foreclosure Defense Group on Jodie’s front steps and front lawn and watch The Brave Little Toaster, an animated film the whole family will enjoy. Heroic kitchen appliances fight eviction! We provide the popcorn. You provide the support for Jodie. Everyone wins. Monday, November 12, 10:00 p.m. It turns out it was Pat! She’s the 90+ year-old badass pictured on the right here with another known badass. If you haven’t met her yet, she came by last week after hearing about Jodie from a friend. She immediately grabbed a stack of fliers and handed them out to every single customer driving out of the grocery store lot across the street. I hadn’t had the pleasure of meeting her then, but hearing about this made such an impression on me, I’d written about her to some of my friends. She’s such an inspiration! So, when she showed up today, I was happy to have the chance to thank her in person. She was here to see if we had any more fliers she could pick up to hand out…because she ran out of fliers again. She was at the Long Haul yesterday, and since she was upset/shocked that folks there didn’t know about this eviction defense, she left a few fliers there and handed out the rest of them as she told folks about Jodie’s ongoing battle and need for support. If/when I grow up, I want to be like Pat! And, well, really like all of you. ‘Cause if I’m lucky enough to grow old and gray, I hope that I am half the badass of the likes of Pat and this amazing community. This is just one of the reasons Morgan Stanley is not going to win this fight, and would be much better off negotiating a fair and reasonable repurchase agreement with Jodie. Sunday, November 11, 10:00 a.m. 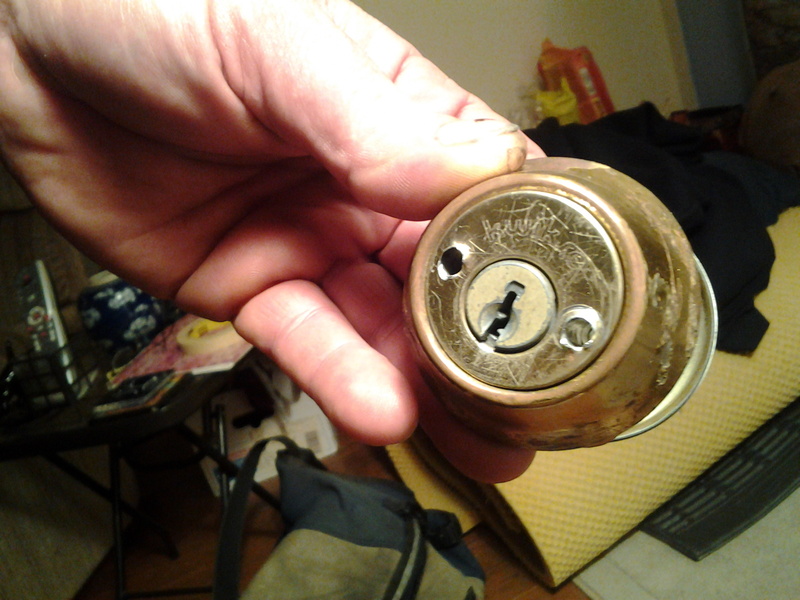 This is the deadbolt that a realtor and a locksmith drilled out of the door when Jodie was at a chemotherapy appointment (before Jodie started working with us). We’re thinking about framing it and keeping it on the mantelpiece as a keepsake for Jodie when she’s securely settled here with a fair mortgage. Otherwise, a quiet weekend so far. Sasha, the home defense dog, barks cheerfully at you. Friday, November 9, 5:30 p.m. A couple of peaceful days in the home defense of Jodie Randolph’s home, but not in the San Francisco offices of Morgan Stanley, where our calls shut down the executive director’s phone line, and sent his important financier callers directly to voice mail. Watch this space for more phone blasts and other actions. Meanwhile, defenders on shift are not shut down: instead, we get fairly frequent visits from people bringing food or stopping to chat. Today’s offerings included pizza, potato soup, and homemade blueberry scones. The house is festooned with anti-foreclosure signs, and some of Jodie’s neighbors have put up their own signs. Synergy is building with the strikers down the street at Nob Hill Market. Wednesday, November 7, 9:45 pm: Home defenders at Jodie Randolph’s home today were visited by a real estate agent. His company’s relationship to Morgan Stanley (the parent company of the current “owner”) is unclear. He threatened to call the police, but no police showed up. We also were visited by local Alameda press, and have made some connections with the Raley’s-Nob Hill picketers in Jodie’s neighborhood. That’s Jodie, front and center, standing with her defenders on the stairs of the house she’s trying to keep. Tuesday, November 6, 3 pm: Occupiers guard Jodie Randolph’s home against the truck that Morgan Stanley and its shell companies did not send as scheduled. Apparently, Jodie’s bank and politician action yesterday bought her a little bit of time. Monday, November 5: We (including our allies at ACCE) joined Jodie Randolph in presenting her demand letter at the Oakland offices of Morgan Stanley, aka the “capitalist mother ship,” the bank which illegally took her home from her. 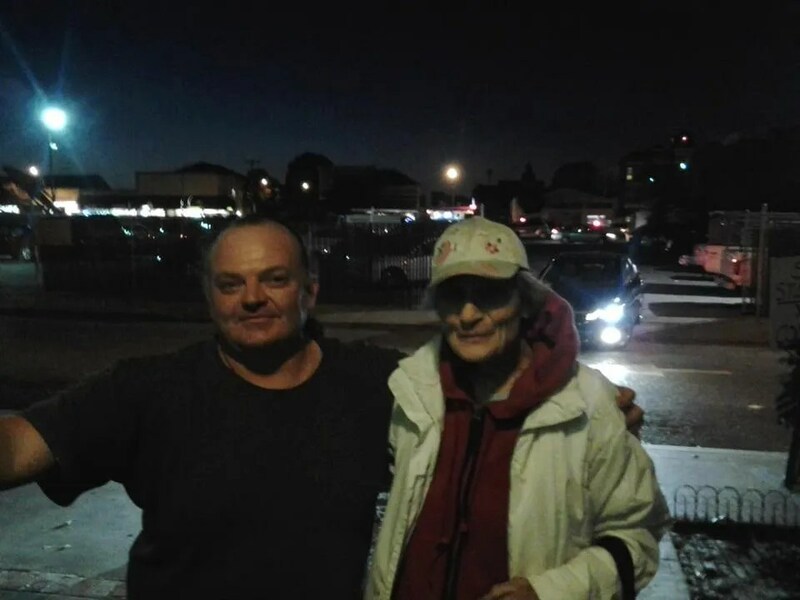 Jodie presented a second demand letter to Rob Bonta, vice-mayor of Alameda running for State Assembly, to demand to be allowed to stay in her home and to be able to repurchase her home on fair terms. Morgan Stanley agreed to work with Jodie the next day (Tuesday, November 6, when a truck was scheduled to come take away her possessions and evict her). Bonta also got in touch with Jodie and promised to work with Morgan Stanley on Tuesday. October 14: Jodie comes to a meeting of the Occupy Oakland Foreclosure Defense Group, and tells her story. Week of October 7: Jodie’s attorney, having completely failed her, suggests that she contact Occupy Oakland. She finds our contact number and calls us, and is invited to come to our next meeting.